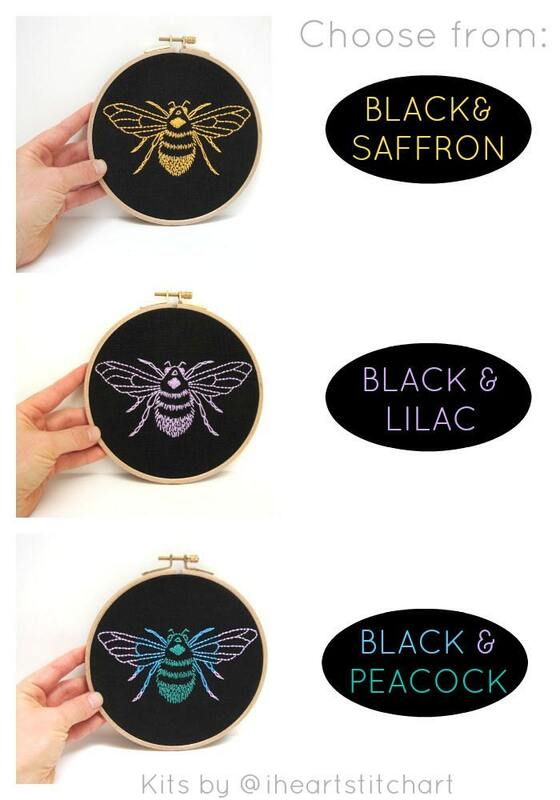 Easy, modern embroidery kit - choose from saffron, lilac, or peacock and watch this vibrant image come to life. 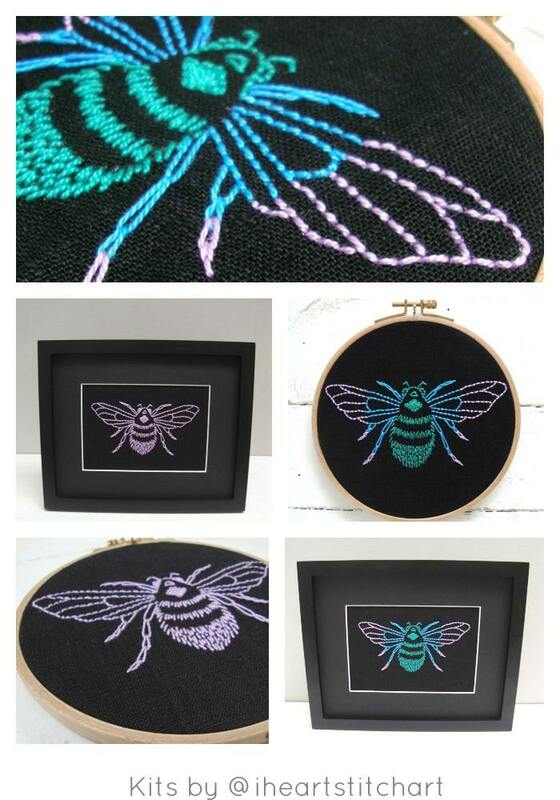 Note: This listing is for ONE bee embroidery kit. 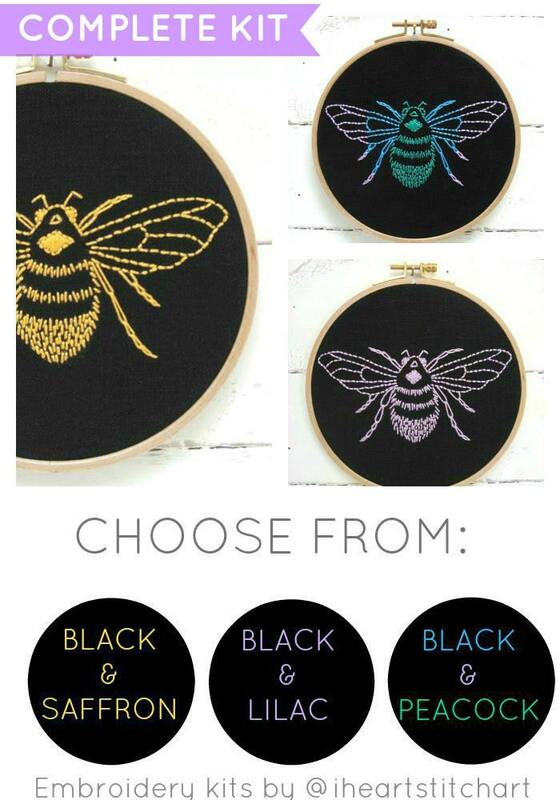 Please select the colour you would like from the drop-down menu! Love it! Not only was the shipping really fast but it came in such an adorable package! 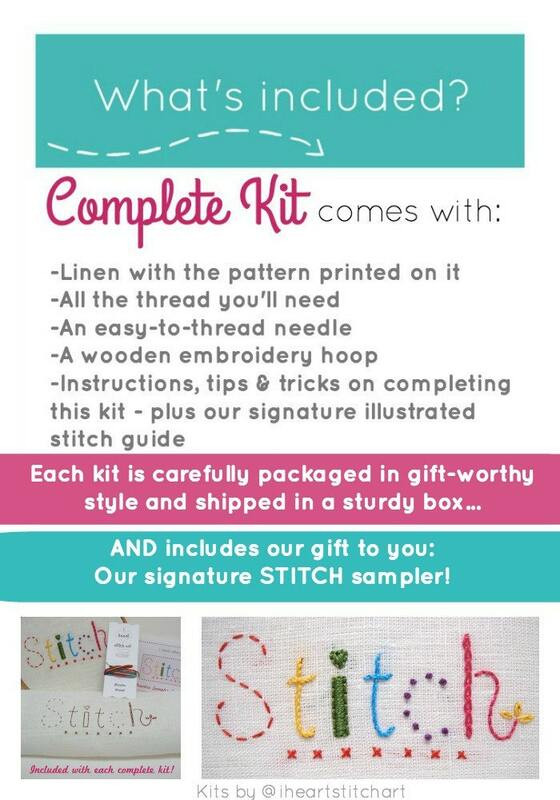 Not to mention the easy instructions and the very useful tip! The kit is perfectly complete! Love it thank you so much!! Words alone cannot express how delighted I am with this product; the quality, instructions, packaging and speed of delivery were all exceptional and added to this was the very generous free gift included with my purchase! 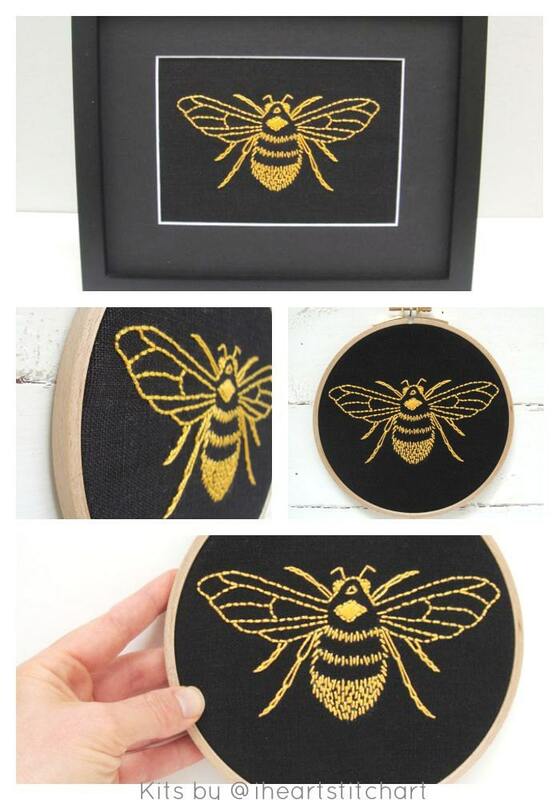 Highly recommend iHeartStitchArt and I will be making further purchases ASAP.